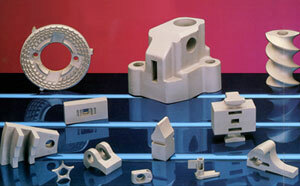 Chicago Vacuum Casting began manufacturing investment castings in 1962. Throughout our history, we have taken pride on our ability to partner with clients to solve their casting problems in innovative, cost-effective ways. We use a large variety of alloys in our investment casting process, giving you a wide array of material options. Whether you require high or low volume production, large or small parts; Chicago Vacuum Casting can save you time and money. Some of the most prestigious OEM companies have selected Chicago Vacuum as their investment casting partner. Our management team has extensive experience in the investment casting industry – experience that will benefit you through higher quality parts, produced on time. We operate under a single tier management system, which allows us to provide you with lightning-quick response to your needs. Please contact us online or call 414-483-7111 to let us know how we can serve you.